I had this exact same problem on my old 986. Never did figure it out on that car. Anyone know what needs to be adjusted/fixed to get the cable to run behind the trim? Any and all help/suggestion welcome. Check to see if that the tension cables are snapped in correctly? I finally got a chance to take a good look in there and as far as I can tell, everything is connected properly and nothing is broken, or visibly worn. I compared the left side that functions properly, to the right side, where the cable ends up on the outside of the trim. I can see no difference in how all of the cables, catches and elasticated bands are routed. If you look closely you will see a cross cable, located between the fabric layers of the convertible top, which is attached with elastic straps on both sides (left and right) on the fabric. One of the elastic straps will probably torn, so that the tension has disappeared. 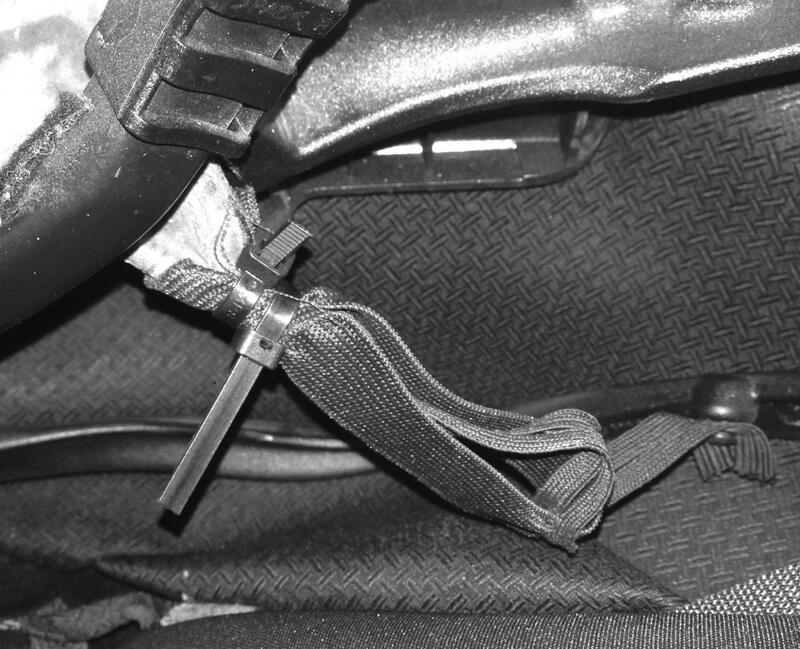 The intention is that the cable or wire, with the help of the elastic straps, the top, when opening and closing, pulls slightly together toward the center of the car, in such a way that the top fits into the black plastic parts. Some convertibles use a complete elastic strap, from left to right, instead of a partial cable/wire elastic strap combination, depends on MY, i think. Hope it helps. That's really good info. I'll go check it out some more when I get a chance and report back! I finally got a chance to really examine the various straps and chords that ensure the top closes properly. what I found is there is a very wide strap with some elastic screwed to a bar down on the bowels of the mechanism. The elastic was not hardly elastic at all any more. I fixed it by pinching the elastic (to make it shorter), then zip tied it to keep it there. I am a complete newbee and have already benefited from this forum, particularly this topic; thanks so much. I found the youtube video by Ray K which is very clear, but I modified it a little bit: instead of sewing, I fold back the end of the canvas to increase strength then use two medium zip-tie to secure the elastic band. Works perfectly on both sides now and should last a long time. Sorry, the long tail from the zip-tie has been trim.